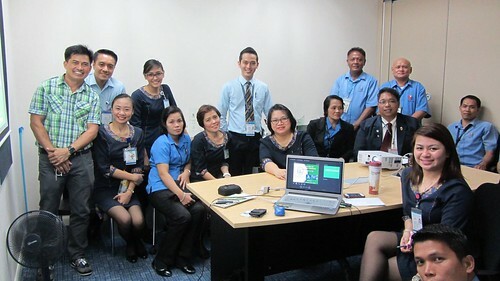 The Autism Society Philippines, represented by Evert Malapad conducted an autism awareness seminar for the Singapore Airlines Customer Relations Team and the Philand Security Agency Civilian Airport Personnel at the Singapore Airlines Terminal 3 Conference Room last 19 October 2014. The activity was opened by Col. Arma of Philand who shared what he had learned from a similar seminar he attended at Duty Free (organized by ASP Paranaque). Ms. Lejano of Singapore Airlines welcomed the presence of all participants and speaker and highlighted the importance of the topic in their work. About the contributor. Evert L. Malapad is former Trustee of ASP National Office and an ASP Lifetime Member. He is a proud father of daughters Ella and Mae-mae (who lives with autism). Evert is leads an adult program for individuals with special needs in Candent Learning Haus in BF Homes Las Piñas City. He earned a Masters Degree in Education and passed the Licensure Examination for Teachers-Secondary Level in 2011.